St Albans Symphony Orchestra collected more than £1,370 for charities over the Christmas and New Year period thanks to generosity of its audiences – and festive shoppers in the city centre. 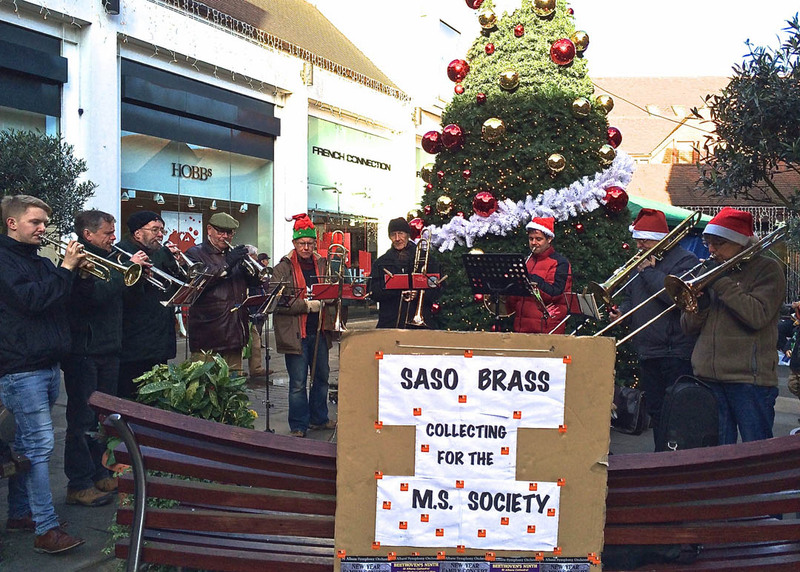 Before Christmas, the orchestra’s brass section, with friends from other bands, raised £488 for the Multiple Sclerosis Society by playing carols at the Clock Tower, in Christopher Place and on the Maltings Centre bandstand. 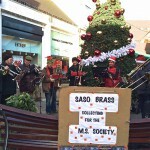 A further £888 was collected following SASO’s traditional New Year’s Day concert in St Albans Cathedral. The money has been shared equally between Ocumel UK, Marie Curie Cancer Care and Rennie Grove Hospice Care: three charities associated with the orchestra’s late chairman, Kieran McGuirk who died in September from a rare form of eye cancer. SASO’s next concert, a performance with the Hertfordshire Chorus of Beethoven’s inspiring Choral Symphony in St Albans Cathedral on Saturday March 7th, will be dedicated to Kieran McGuirk’s memory.